Gestures and Archives of the Present, Genealogies of the Future aims to explore the museum’s catalytic role in navigating between knowledge systems and in the experience of trans-artistic practices and research in societal configurations that take into consideration cultural paradigm shifts. Treating the biennial as a matrix, an organic whole with its various forms, intensities, rhythms, and traces, it engages “performing the archives, performing the architecture, performing the retrospective” and the invention of narrative apparatuses and reflexive images in relation to artistic productions and practices of thought with a firm grip on historical conditions and realities, which play along with or resist realities to come, or whose advent is impossible. With works that aim to keep alive the biennial’s exhibition conceived by Xavier Le Roy as a choreography of actions by fifteen Taiwanese performers in situations that investigate various experiences of the present as a composition of several times coexisting in the same time and space. “Retrospective” engages with excerpts from Le Roy’s solo works and biographical elements from each performer as well as the intersecting apparatuses of the theater and the museum. Throughout the Taipei Biennial, workshops are being organized with cultural and educational partners, and a rich program of performances will take place at the Taipei Fine Arts Museum and other venues, including specially commissioned pieces for the biennial, demonstrating the collective capacity of artists to invent paths allowing trans-disciplinary experimentation. The Taipei Biennial Symposium, divided into three parts, will be held September 10–11, November 26–27, 2016, and January 13–15, 2017 . It aims to bring together a large public with artists, theorists, the collective, imaginary memory of potentially yet to be revealed images, the biennial proposes to unravel relations to archiving or anti-archival gestures and modes of memorization in an effort to shed light on their readings/usage and potential appropriations, considering that their geneses are closely bound to a “critical intimacy” between the artwork and the spectator/visitor. Doing so, it aims to contribute to a coherent critique of institutional bureaucracy so that radical thought does not lose its vital center and ability to disarm configurations of power, thereby unlocking human imagination out of dead zones to explore heterogeneous narratives and allow common memory to disseminate and settle. The biennial’s program offers a space embracing artistic experimentations and debates with various publics, reconfiguring the logic of what is shared, a site for public staging in relation to an idea of art as well as to evolving acts and forms seeking emancipation from the dominant narratives that rule social life. With the production, co-production, and presentation of a large number of new artworks, films and performances from Taiwanese, Asian, and international artists, the biennial has become a major actor in supporting contemporary art in Taiwan. Exploring historical coincidences and resonances, some invited artists are also proposing evocations and presentations, with visual, performative, or discursive configurations that engage with seminal artistic gestures and the corpuses of major artists of the last century that have nourished their own practices, including John Cage, Lygia Clark, Marcel Duchamp, Valeska Gert, Le Corbusier, Hannah Ryggen, Yvonne Rainer, Ad Reinhardt, Witkacy, and Shih-Chiang Yeh, among others. and researchers around lectures, presentations, discussions, screenings, musical events, and performances. Philosophers, historians, anthropologists, artists, writers, choreographers, filmmakers, and musicians will present their works, and share their research and ongoing projects. History and theory will not be regarded as entities separate from art practices but, on the contrary, as necessary and inherent to any relevant project in today’s artistic context. The symposium will draw from heterogeneous resources, exploring pedagogical prototypes, models, and formats. Conceived as hospitable space-time, the exhibition Gestures and Archives of the Present, Genealogies of the Future at Taipei Fine Arts Museum, accompanied by a program of film screenings in the biennial’s “little cinema,” and the artist-in-residence project at Taipei Artist Village will open to the public on September 10, 2016. A number of other installations will be deployed in November, December, and January. Starting on December 9, for a period of four weeks, the museum will host “Retrospective,” an exhibition within the biennial’s exhibition conceived by Xavier Le Roy as a choreography of actions by fifteen Taiwanese performers in situations that investigate various experiences of the present as a composition of several times coexisting in the same time and space. “Retrospective” engages with excerpts from Le Roy’s solo works and biographical elements from each performer as well as the intersecting apparatuses of the theater and the museum. Throughout the Taipei Biennial, workshops are being organized with cultural and educational partners, and a rich program of performances will take place at the Taipei Fine Arts Museum and other venues, including specially commissioned pieces for the biennial, demonstrating the collective capacity of artists to invent paths allowing trans-disciplinary experimentation. The Taipei Biennial Symposium, divided into three parts, will be held September 10–11, November 26–27, 2016, and January 13–15, 2017. It aims to bring together a large public with artists, theorists, and researchers around lectures, presentations, discussions, screenings, musical events, and performances. Philosophers, historians, anthropologists, artists, writers, choreographers, filmmakers, and musicians will present their works, and share their research and ongoing projects. History and theory will not be regarded as entities separate from art practices but, on the contrary, as necessary and inherent to any relevant project in today’s artistic context. The symposium will draw from heterogeneous resources, exploring pedagogical prototypes, models, and formats. The series of monthly conferences Kau-Puê x Photography Forum (September 17, October 22, November 19, December 17, 2016), organized with aesthetic theorist and art critic Gong Jow-Jiun, focuses, as part of an ongoing research project, on exploring images of religious folk festivals in the history of Taiwanese photography. Photographers, researchers, critics, and editors will be invited to reflect in a series of talks on Taoist-Buddhist religious folk images archiving performances and to examine them from alternative perspectives at variance with the stereotypical emphasis on individual photographers or the paradigm of modern western photography. The Editorial is a critical editorial platform organized in collaboration with Hong Kong’s Asia Art Archive and Vernacular. It will take place at the museum December 10–11, 2016. With a rich program of talks, readings, discussions, workshops, book launches, and publishing material, it considers the role and expanding network of independent art publishers in Asia, their local and international impact, and how hybrid publishing practices and ways of articulating and diffusing content, from artist books to the shifting roles of art libraries and their related archives, have been reshaped as sites of production, reception, and transmission. Gestures and Archives of the Present, Genealogies of the Future has been made possible by the extraordinary engagement of individual people and institutions. My warmest thanks goes first of all to the artists and speakers for their contributions and generosity, to the public and private institutions for their invaluable collaboration, loans, and support, to the people who welcomed me in Taiwan and shared their ideas and insights, and, last but not least, to the Taipei Fine Arts Museum for inviting me to curate this 10th biennial and dedicating such attention to enabling its programs to be fully deployed. I particularly thank the museum’s team for their unflagging work and continuous care. 1 Taipei Artist Village, Guling Street Avantgarde Theater, School of Dance at the Taipei National University of the Arts, Taipei Backstage Pool, Kishu An Forest of Literature, Cultural Affairs Bureau of Tainan City Government, Tainan National University of the Arts (TNNUA) / Research and Innovation Centre of Visual Art, Hong Kong’s Asia Art Archive, Vernacular, and Motto Books, among others. 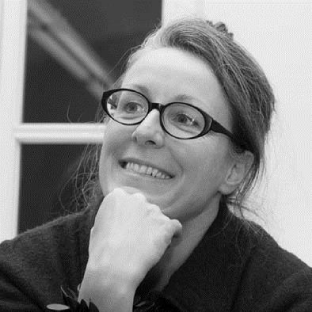 French curator Corinne Diserens Diserens currently serves as director of the erg, higher art and research academy in Brussels, Belgium. Obscure White Messenger tells the story of Dimitrios Tsafendas, who assassinated the South African prime minister and “architect of apartheid,” HF Verwoerd, in 1966. What drove Tsafendas, a man of mixed race, a migrant working as a parliamentary messenger at the time, to commit this act? Siopis explores the intermingling of madness and political motives evident in archives on Tsafendas. Who is the “illegitimate” Tsafendas and where does he belong? What does it mean to be stateless in a world in which citizenship all too often establishes and legitimates what it means to be fully human? These are some of the questions that run through the film. The New Parthenon speaks of Greece’s fraught relationship with Europe, through the imagined meditations of a Greek man who is also her father. Trans-body in Sens-cious Field Research : Resistance in Latern Colonization and Subalterns' Epistémè. At a time when social constructs and re-presentations are increasingly restricted to September 10–11, 2016 various mechanisms and systems, the expansion of virtual space and homogenization of reality has become a bizarre democratization-related phenomenon. This ensures that the creative arena of artists is thoroughly brought into the realm of modern social reality. As such, through the diversity in social points of contact, the simplification of artistic language, the great increase in the number of artists, and the high concentration of cultural capital, “latent colonization” (internalization of life politics) creates more subordinates/ dependents. The works of Chen Chieh-jen maintain a constant dialectical dialogue with this democratic progress and phenomenon, from the bare life of Cold War constructs and global structures, the large number of labor hire workers in a M→U form society, all the way to the artist’s Sens-cious field and the self contextualization of subordinates/dependents. When compared to the replacement of the world by landscape society, the question is whether artificial intelligence technology (Internet demography) will produce an “EMOTI— CONsciousness” able to supplant real consciousness? Certainly, the above development touches on how the “knowledge set” that determines historical writing and cultural power will change. We will discuss how, subject to the Internet demographic and narrative group, this “knowledge set” will become a competitive arena. For further information on Chen’s contribution to the biennial, see link1, link2, link3, link4. Carneway Event, 2009, 16 mm color anamorphic film, optical sound, 108 min, with choreographer Merce Cunningham and his dance company. In English. Event for a Stage’s transcription in Mandarin will be available at the entrance. A conversation between Manon de Boer and Chia-Wei Hsu about their respective working processes and their ways of approaching the medium of film in relation to their subjects. The discussion will be preceded by the screening of Hsu’s short film Ruins of the Intelligence Bureau (2015, 13 min). Chia-Wei Hsu and Manon de Boer met each other in 2014/2015 at Le Fresnoy’s postgraduate program in France where Hsu studied and de Boer was guest teacher for a year. The talk will focus on the ways modernity has been perceived globally, addressing first two preliminary questions: What does “modernity” mean and what is indicated by “global”? Without entering into philosophical discussions, the talk will examine some concrete cases where the dichotomy between “western modernity” and “non-western tradition” causes conflict. Then, it will analyze “globalization” from a critical point of view. “Critical” they have done on countless occasions before, but it is also the document of a celebrated practice, and of a legendary man at work, and now a moment lost in time. When Merce died on July 26th, I had just begun editing Craneway Event. It immediately left me with an absence, which I filled initially by watching recordings of Merce dancing in his youth or chatting in interviews... To read full text, see page 122 196 symposium 197 11.26 10:00–12:15 Amandeep S. SANDHU & Maxi OBEXER Amandeep S. Sandhu, The Writer as a Memory Maker Maxi Obexer, Political Writing and its Conditions My mother had many enemies. To us they were imaginary but to her they were real. They were set in different periods of her early life. They attacked her all the time. I grew up seeing her grapple with the incoherence of her memory. When I was an adolescent, my community (Sikh) was at war with my nation over how our histories were written. The demand was for an independent nation for Sikhs. The militant separatist movement split me between my nation and my religion. The issue is not just of my family or community. I come from a civilization where we consider that time is cyclical. Our storytelling tradition is oral. We don’t keep physical records. As a nation and a society we are not very good at installing memories. My own community’s culture is marked by “mitti pa”—bury it. Our land is more than five millennia old but we deal with our history by burying it, not talking about it, not learning any lessons. In just the last century the greatest exile in human history took place in this land, with the Partition of India. It left 1 million dead and 10 million displaced. Yet communalism raises its ugly head time and again in India. When I started writing about fifteen years ago, I had just one intention: to install memory. I realized that, as a developing nation, we are a society caught in the rigmarole of daily living. We are enamored by big discourses, by loud branding, by the vigor of drama in public life and here implies the questioning of the overwhelming schema of “the West and the Rest;” an opposition that excludes, by definition, third parties, i.e. the realities of non-western modernity. 日德艾蘭 Ella RAIDEL SUBVERSES: China in Mozambique, 2011, 45min. Angela Ferreira’s presentation will focus on the part of her practice that is concerned with developing metaphoric and political statements from critical investigations on buildings and built structures in the history of Mozambique. Through this series of works she has explored and problematized colonial ethnographic practice, as well as decolonizing and revolutionary utopias (cinema and radio) from the euphoric post-independence period of national construction. The artist will present projects such as For Mozambique (2008), Political Cameras (from the Mozambique Series—2010), Studies for Monument to Jean Rouch in Mozambique (2012–13), and A Tendency to Forget (2015).For further information on Ferreira’s contribution to the biennial, see link. In SUBVERSES: China in Mozambique, Ella Raidel investigates the contingent politicaleconomic situation of growing Chinese investments in Africa, using a performative act of local and foreign workers as a poetic device. Taking the voice of a Chinese worker in Africa as a starting point, the film concludes with commentaries done in the local slam poetry, which serve not only to underscore the presence of subcultures in flux around the world, but also as footnotes to the film, referring to the African oral tradition in the telling of history. Her method of filmmaking involves creating a discursive space that bridges the making of art and that of knowledge. Filmmaking in this sense can be seen as an artistic research, not only because of the processes involved in writing and shooting but also because of the complex archiving process in narratives, scenarios, subjects, and finally different politicized realities. SUBVERSES can also be read as a sequel to Godard’s attempts to establish an independent television network in Maputo during the 1970s.For further information on Raidel’s contribution to the biennial, see link. OF GRIMACES AND BOMBS—Valeska G., a Travelogue, or: Who’s Afraid of the Grotesque? Walk through Yuanshan Park Area from MRT Yuanshan Station, then turn left to Sec. 3 on Zhongshan N. Road. The walk takes about ten minutes. The following buses stop at the “Taipei Fine Arts Museum”:routes 21, 42, 203, 208, 218, 220, 247, 260, 277, 287, 279, 310, 612, 677, 1717, 2022, 9006, Red2, the Zhongshan MainLine. 203, 277, 279, 612 sign only at the stop to the north. Red2, 21and 220 are Low-Floor buses. Head east on Zhongshan Highway toward Exit Yuanshan Interchange and merge onto Songjiang Rd., then turn right onto Minzu E. Rd.. Go straight on and turn right onto Zhongshan N. Rd. Sec.3, and you will see TFAM on your right-hand side after about a minute. Free parking for museum's visitors, Opening Hours: Tuesday to Sunday 9:20 ~ 19:00, Saturday open until 22:00. Closed on Monday. Tuesday to Sunday:after 17:15 opens only for vehicles out of the parking lot. Saturday after:20:15 opens only for vehicles out of the parking lot. 1F Village Cafe：Tuesdays to Sundays 11:00 a.m.-11:00 p.m.
9:00 p.m.-11:00 p.m. enter/exit from the door on Tianjin St.
Shandao Temple (Blue line) to Shandao Temple Station Exit 1. Walk to Tianjin St., turn right toward Beiping E. Rd. , then cross. Taipei Artist Village is on the corner. Taipei Main Station (Red line) Taipei Main Station Exit M2. Walk east on Beiping Road, cross Zhongshan N. Rd. and continue for one block to Tianjin St. Taipei Artist Village is on the corner.